A discussion with a friend who, unfortunately, had fallen victim to an unscrupulous, unprofessional obscure publisher prompted me to write this. I know I've said this before, but it's important enough to bear repeating: in the world of digital publishing, just as anyone can call themselves an author and slap a half-baked whatever on Amazon, anyone can call themselves a publisher and get authors to sign away their precious book rights, without any experience, credentials or connections whatsoever. There are small presses and there are small presses. It's important to distinguish between the genuine intrinsic limitations of any small press - less connections, less budget, less possibilities to get a book out there - and the unethical practices of a crook and a scammer (demanding money upfront, neglecting to share timely reports, lack of transparency, contracts that lock the author in without the chance of escape while offering very little in return). When signing a book deal with a small press, one has to be realistic. I have a contract with Mason Marshall for Wild Children and its upcoming sequels, and I'm happy with their level of professionalism and dedication. On the other hand, I'm well aware that my publisher is not Random House. They can't commission posh graphic designers that charge thousands of $$ per cover. They can't give out big advances. They are limited in what they can spend on promotion. I knew that when I signed, so all is fair and square. There is an opinion among many authors that if you're not getting a book deal with a major publisher, there's no point in signing with a small one, because they can do very little for you which you can't do for yourself. There is some reason in that, if you have money for at least some upfront costs which come with self-publishing. If, on the other hand, you don't have any ready money, and your publisher (professionally, without cutting corners) takes care of the editing, proofreading, cover design, formatting, and at least some promotion, it may be a worthwhile exchange. Yes, you can self-publish without any budget at all, and I have done this, but it's tough and requires time and work. Some authors weigh the pros and cons and decide to sign with a reputable small publisher, to free up their time for work on new projects, rather than tackle the whole thing themselves. It is a legitimate choice, as is self-publishing. Of course, blindly giving away one's book rights to any crook on a dark street corner is not a choice, it's a trap. I strongly recommend reading this article by SWFA on small presses. It is relevant for all authors, not just those who write sci-fi or fantasy. It's easy to become desperate when you're in the trenches of querying. Authors, don't forget: your book rights have value. Don't be tempted to give them up too quickly just because a random someone is waving a contract in front of you. Don't be swayed by compliments on your genius, or shiny bubbles of fairyland promises. Do your background checks, study the market, and make an informed decision. The querying game is tough and exhausting, as everyone who has ever engaged in it must know. While in the digital world, everything shoots at lightning-speed, the publishing industry still allows itself the luxury to crawl along like a tortoise with rheumatism. Thus, a one-line rejection email after three months of waiting is considered totally normal. Repeat this for fifty, sixty, a hundred times, and you'll find yourself tearing your hair out and asking "Why? Why?! Why isn't anyone interested in at least reading more of my manuscript?!" Sometimes there is no answer to the whys. Maybe your book isn't classic commercial material. Maybe the stars didn't align. The competition is so tough that literary agents are extremely picky. They can easily afford to wait for that story "they will fall in love with", or to reject your query because the text you attached was in Times New Roman 11 instead of 12. That is why my answer to all authors who agonize over whether they should go indie or aim for trad pub is, Do Both. There are still benefits to trad pub, so keep on playing that game at a snail's pace, and something might come out of it eventually. But if you believe in your story and there are no takers for it, don't despair. Publish independently for the empowerment it gives you, for the experience... and for the income, which can be gratifyingly quick. Indie publishing is not second class (if you don't let it become that). I have read some excellent indie novels, far better than the cheap thrillers and romance the industry keeps churning out. They just weren't for the mass market, so nobody would take a chance on them, or maybe the authors weren't pushy enough with their pitch. 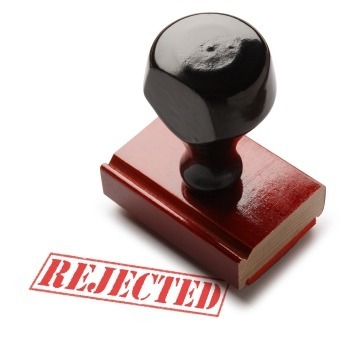 Sometimes, however, there is a genuine reason why authors keep getting buried in the rejection pile. Sometimes it's the pitch itself. Like it or not, we have only a paragraph, maybe two, to sell the concept of a novel on which we have been working for months or years. An agent takes a look at the submission, and decides "I want to read more" or "this is a pass" in about three seconds flat. There is nothing we can do about it except improve our pitch by comparing it to other successful pitches, and by asking critique groups and partners to tear it apart. Sometimes the first pages of your novel are the issue. Personally, I still like the leisurely openings of classic novels (and even novels written mere decades ago), but that's not how the industry works these days. We are told we need to "grab" the reader with a "hook" on the very first page. Those first pages need to be as strong as possible. Recently, I have discovered The Opening Lines, a website run by a professional editor who offers authors genuine, detailed and free critique of the first 1,000 words of their manuscript. You can submit your sample here, and you are almost guaranteed to receive some very helpful feedback. I did it with my MG fantasy novel, for which I had already queried far and wide, and got some real eye-openers - issues while, easily correctable in themselves, are off-putting to finicky and attention-spoiled agents. I only wish I had come across this website before sending those 50 or 60 queries to just about every agent in the genre! So don't despair. Tweak, ask for feedback, tweak again. Don't be afraid to try a new angle, some rewrites, a new title. And above all, keep writing. How often should authors release books? This has been a topic of hot debate in the indie author community. Many stress the importance of building a backlist, the need to keep your devoted readers satisfied (especially if they are voracious readers in genres like thriller or romance, where people can easily devour several books a week), and suggest that if you only have one or two books out there, money and effort spent on promotion are basically wasted. Others complain of the poor quality of rushed, badly edited books, and accuse indie authors of being money-grubbers who are ready to slap a snazzy cover on a half-baked anything and hit the Publish button. The truth, as almost always, is somewhere in between. First off, if you are a hybrid author, like I am - that is, balancing the line between trad pub and indie - you will know that trad publishing moves along like a tortoise with rheumatoid arthritis. Getting a book out may easily take a year of querying agents and, if you are lucky enough to land one, a year of the agent trying to sell the manuscript to publishers. If the stars align and you get a book deal, the book may still queue up with the publisher for a year or two while the editing, cover design, and marketing plan get sorted out. Even authors who have signed with small publishers, like I did, find that getting a book out there the traditional way takes time, at least for serious publishers who treat books like a serious business (and, though it may make your artsy soul cringe, that's exactly how publishers view books, and that's how they make a living). An indie author has every possibility to get their books out there faster. First off, you skip the whole querying and shopping the manuscript around, and get straight to the core - editing, proofreading, formatting, cover design, release and promotion. Still, it takes time. I released four books in 2017, but it doesn't mean I had started and finished working on all those books in the same year. For two of them, the release was just the culmination of a work process that took several years. The arguments that fast-written, fast-released books are often of subpar quality do have some ground. It does take many hours to write a mansucript and get it ready for publication, especially if you are working with an editor and cover designer who have their schedules as well. Furthermore, sometimes the passive work - setting the manuscript aside for several months and letting it stew - is what gives the author some really good ideas. Getting feedback from beta readers takes time, too. On the other hand, it is possible to produce good books at a much faster schedule than the one trad pub sets for itself. An indie author with a streamlined, effective work technique, who is committed to writing 2,000 words a day, may finish a 80K-word novel in 40 work days. While the manuscript is in revision, the author may start working on a new project. My latest release, The Last Outpost, has been started, finished, revised and released pretty quickly, and I'm getting lots of positive feedback on it. I know this project went faster thanks to experience, discipline, and pure simple drive that led me to write. Such a schedule does get pretty intense, however. It makes sense for an author building a backlist to crack their knuckles and get those first several books out there, so that a reader who liked one book can buy them all, but later on they might want to slow down. I don't really believe in writer's block, with the one exception of creative burnout caused by extreme and consistent overwork. Sometimes you just can't beat your brain into compliance, you need to step back and relax. Bottom line: don't compare yourself to anyone, and release your books at the pace that suits you. After The Last Outpost, I know that the rest of 2018 is going to be slower, as I'm expecting a new baby in a couple of weeks. I'm not committing to any new projects at the moment. I know I just won't have the time, energy or mental space. Besides time constraints, there is the ready budget you might want to invest in each book. It's true that every new book means new earning potential, but if you're an indie, it may also mean out-of-pocket expenses for editing, cover design and promotion. It's better to release two books a year and give them as good a chance as you can, than four books that leave you stretched thin and cutting corners. 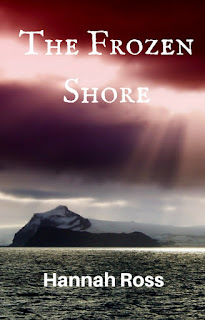 This week, I have completed a short science fiction story, The Frozen Shore, set in the same world as my recently released novel, The Last Outpost (which, by the way, is on sale for 0.99$ for the following week). I have written it simply because I was inspired to expand the world of The Last Outpost and create a prequel some of my readers seemed to crave, and I thought I might either put it up for sale or include it in the introduction to the next book in the series (which I'm already itching to get started on), but then I decided to leave it as a stand-alone freebie to share with my readers on my social media, blog, and in my next newsletter. Why, you ask? Having a free short story to give away is an asset. * It allows readers to dip their toes in the world of your longer fiction with no commitment of money, and with very little commitment of time - think of it as those tiny samples they hand out in grocery stores. * It makes your newsletter more lucrative - offering something for free is always nice when you email people, rather than just focusing on the new book you have for sale. * At the end of your short story, you can include promo links to your longer fiction, your author page, your blog, etc. If people liked your story, they will be kindly disposed to subscribe, Like, Share, Tweet, and maybe buy. * Potentially, a short story can be acquired by a magazine or included in an anthology, allowing you to reach an even wider audience. Also check out this article on how you can use your short fiction to promote your novels. 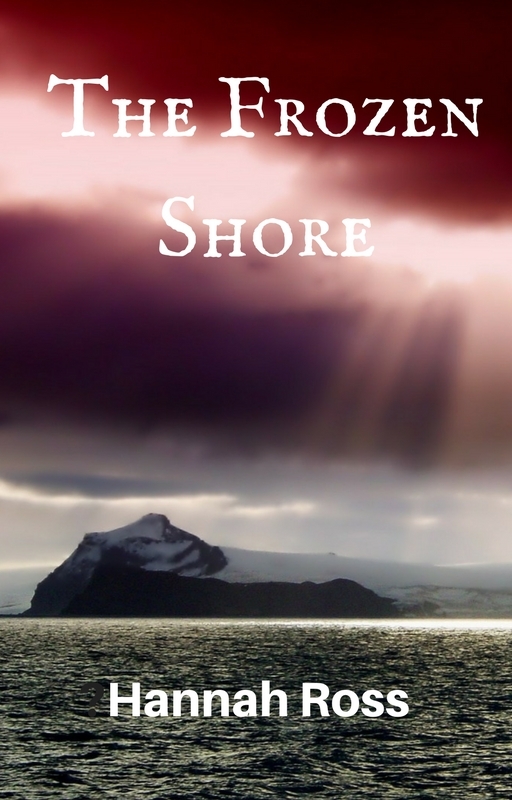 And, finally, don't forget to pop over and download The Frozen Shore - a sci-fi story featuring Antarctica, prehistoric people, and giant ancient reptiles.